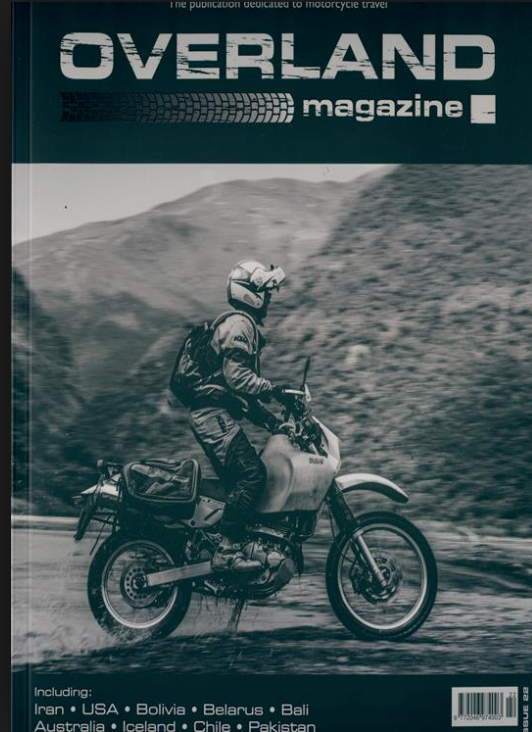 This story first appeared in Overland Magazine. 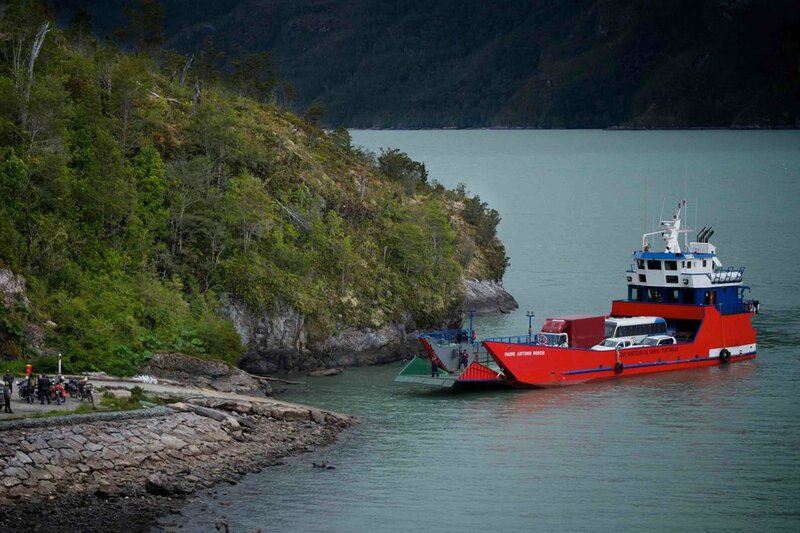 The tide and Transportes Austral ferry system waits for no man. Despite a pre-sunrise departure and a hard charge to arrive at the terminal early, we rolled onto the loading ramp with only four minutes to spare. No sooner had we stowed our motorcycles the boat slowly pulled away from shore to begin its three-hour journey through the fjord. Relieved we hadn't literally missed the boat and blown our tight travel schedule, we climbed to the top deck and spilled ourselves onto wooden benches. With noon fast approaching the summer sun had moved high enough in the sky to burn away the morning chill. I shucked off my dusty jacket and snapped a picture of the snow-capped summit of Volcán Hornopirén just as it slipped out of view. It seemed a suitable time to reflect on our ride along Chile’s famed Route 7. It had been exhilarating, beautiful, and at times more challenging than expected. Best of all, it was only the morning of the first day. We had ten more days to go. Like most travelers to southern Chile, we came to experience its rugged roads and pristine wild places. 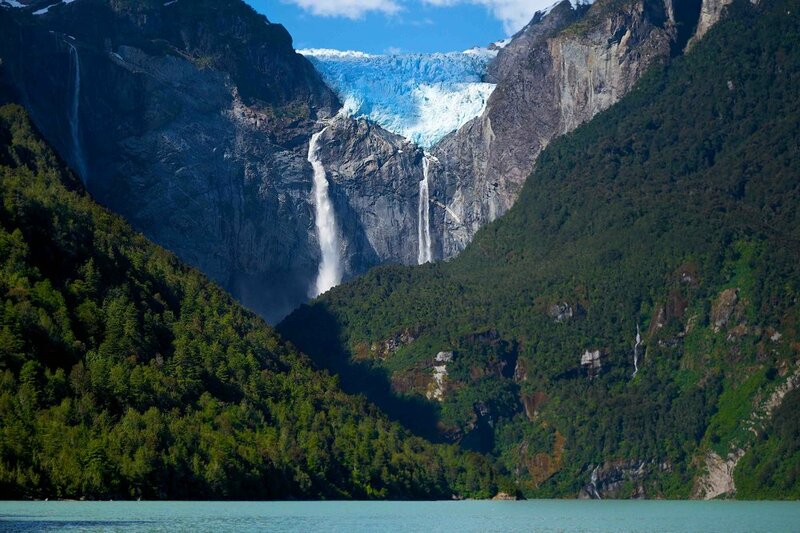 Known by most as Patagonia, the bottom third of the country is still largely untamed. Home to deep fjords, ancient forests, and active volcanoes, it is a land all but forgotten by time. It is ragged, primordial, and in some places scraped clean by the ravages of ice, fire, and weather. Above all it is fecund, delicate, and profoundly beautiful. For that reason it attracts visitors from around the globe. Many travel great distances to explore its parks and preserves. Given its remote location, most people explore Patagonia by way of Route 7, otherwise referred to as the Carretera Austral, or Southern Road. Commissioned by dictator Augusto Pinochet in 1976, it was built as a means of servicing isolated villages and government outposts in the furthest reaches of the Chilean frontier. The terrain was so unforgiving the southernmost kilometer wasn’t completed until the year 2000. Today it terminates on the shores of Lake O’Higgins at a tiny village of the same name. It doesn’t stop there for lack of ambition. Beyond the painted sign marking the road’s end lies a wheel-thwarting landscape of shifting glacial ice, and jagged mountains hemmed in by thousands of inlets and islands along the Patagonian Archipelago. Marked with the coordinates, 48º 28’ 06” S / 72º 33’ 49” W, it is as far south as you can go without wings, feet, or fins. For anyone inclined to ride a motorcycle the full length of the Carretera Austral, the logistics are as daunting as the ride itself. Aside from the obvious hurdle of getting to the starting point in Puerto Montt with a two-wheeled steed, there are the added challenges of managing accommodations, supplies, fuel, and the variable time tables of ten ferry crossings. Although plenty of adventurers execute the trip without assistance, I enlisted the services of Daniel Palazzolo at Moto Patagonia. An American expat and resident of Puerto Veras, his expert planning and local resources meant all I had to do was show up, swing a leg over a motorcycle and follow wheels. With my new fellow travel mates, Charles, Curt, James, and John, day one proved I had made the right choice. When I signed up for the trip, I knew what I was getting into, but not the size of it. Dragging a finger over a map did little to validate the scale. It took a few long days of hard riding to realize Patagonia––is huge. Our days started early and only by virtue of the date and our place in the hemisphere did we have enough light to complete the necessary distances. And then there was the terrain. The further we progressed, the less pavement we saw until finally the route ahead was nothing but unruly stretches of gravel and dirt. Despite the Chilean government’s best efforts to pave the entirety of Route 7, Mother Nature has demonstrated her own intentions. Steep mountain passes, the occasional landslide, and unrelenting remoteness mean the Carretera Austral will remain wild and wooly for years to come, particularly at the distant end. Anytime our route skipped along the edge of the ocean we frequently spotted dozens of brightly colored fishing boats moored in the shallows or at keel on rocky beaches. Abandoned by the low tide, they evoked images of the North Sea or coastal hamlets of Scandinavia. As familiar as the visuals seemed, comparisons eventually felt unfairly applied. When melded together, the diverse elements of the region combined to create a unique natural and cultural tapestry. 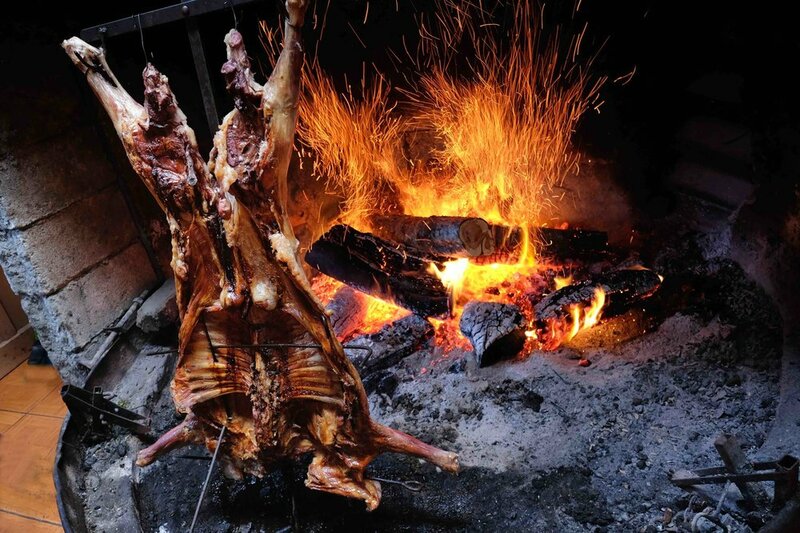 It is unmistakably––Chilean. For many of us it’s easy to fixate on the making of miles and whiz past the very things which make a place worthy of the visit. During each of our eleven-days on the road, Daniel delivered us to Patagonia’s best-kept treasures. While taking a break from the bikes we walked amidst the towering Alerce trees of Parque Pumalín. Distant cousins of the Redwood, the most ancient Alerce tree is more than 3,600 years old. Down the road we stopped to watch pillars of steam rise from the scarred flanks of Volcán Chaitén. Its last eruption occurred as recently as 2008. Arriving late in the day at Puerto Rio Tranquilo, we boarded a small skiff to see the otherworldly Marble Caves along the shores of Lago General Carrera. We kayaked the Azul River, and hiked a rocky trail to view the hanging glacier of Parque Nacional Queulat. As superlative as those diversions were, our time in O’Higgins offered a once in a lifetime experience. After boarding a Cessna 206 we flew deep into the Southern Icefields to the towering escarpments of Patagonia’s most famous peaks: Fitzroy and Cerro Torre. With the plane window propped open and our camera lenses jutting into the void, we cracked off pictures and traded high-fives. One would think running out of roadway would have cast a heavy pall over a group of adventure riders. Standing in front of a sign wearing the words, Fin del Camino, or end of the road, had the opposite effect. The 1,247 kilometers we passed under our wheels were hard won, but that’s what made them so rewarding. We had spent the previous week earning our Patagonian experience by day and whiling away the late evening hours reliving the efforts. Bikes had been dropped, comfort zones exceeded, and as is the case for shared adventures, new friendships were forged. As we loitered about the sign marking the end of the road, our group of six traded congratulatory slaps on the back. Watching the gang from a distance it occurred to me the sign was patently wrong. It may have been the southernmost terminus of the Carrera Austral. There may not have been anymore Route 7 to travel, but it was by no means the end of the road. From where I stood it was the––start. It was just the beginning of the second half of our journey and our long ride home.